No one adopts or purchases a cat with the hope that it will misbehave, destroy the house or hide under the bed. Whenever you enter into a relationship with a cat you have expectations about sharing a wonderful life together. So what goes wrong? Well, all-too-often we’re the ones who mess things up. We’re quick to blame the cat, but we don’t follow through on our part of the bargain. Cats benefit from companionship. There has been so much misinformation out there about cats being solitary animals. Cats hunt alone because they go after small prey but they benefit from being with other animals. 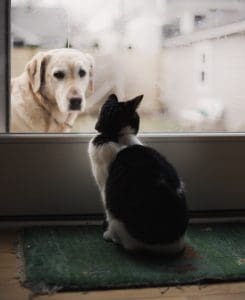 New cat introductions are tricky because you have to take into account the cat’s territorial nature but if done right, you can provide a wonderful companion for your cat, in most cases. Pay attention to what your cat needs when it comes to the proper set-up. It’s not about what’s convenient for YOU, it’s about what’s convenient and appealing for your cat. 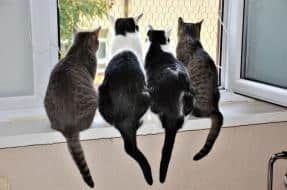 The type of box, the type of litter, the location of the box and how often you clean it are all important factors in a successful litter box set-up. 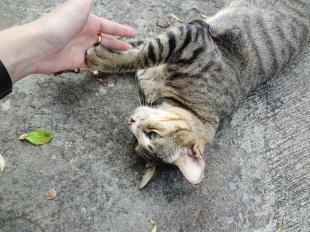 Cats have a natural need to scratch and it’s actually a very beneficial behavior physically and emotionally. Many new cat parents assume the behavior is just the way a cat sharpens his claws but it’s more complex than that. Take the time to learn about the importance of the behavior so you won’t be misled into having your cat declawed. Provide a tall, sturdy scratching post that’s covered in a rough texture and you’ll be well on your way to training your cat to scratch in appropriate places. Many behavior problems can be avoided if you increase your cats’ sensory stimulation. Cats have amazing senses, are natural hunters and thrive on stimulation in their surroundings. Your cats’ environment should involve opportunities to engage in interactive playtime, solo playtime, discovery, vertical territory, security and comfort. A cat who sleeps all day, rolls off the sofa to waddle into the kitchen for food and then waddles back to the sofa isn’t getting adequate stimulation. Whether you approve of a particular behavior or not, everything your cat does serves a function or else he wouldn’t repeat it. Cats don’t willfully misbehave out of spite, anger or stupidity. Your cat isn’t sitting around at night thinking of ways to irritate you. If you don’t like a behavior, figure out the reason why the cat feels the need to do it (in other words, what’s the pay-off) and then provide a better option. Look at behavior from a positive approach in order to set the cat up to succeed. 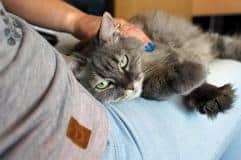 This method of training will strengthen the bond you share with your cat and will help you better understand what he needs. Don’t send mixed messages when training and make sure everyone in the family is on the same page. A common mistake in training is that pet parents aren’t consistent so the cats never fully understand what is allowed and what isn’t. 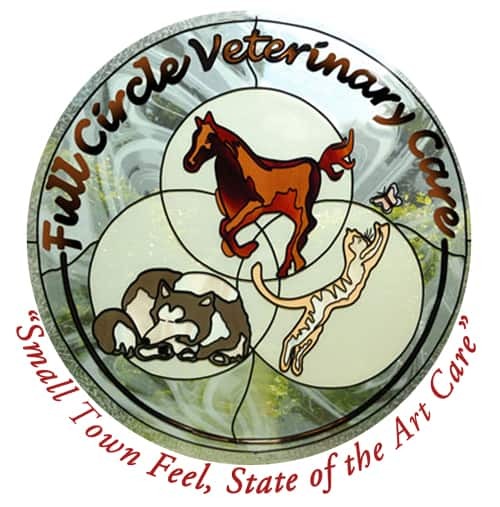 All cats need regular veterinary care. Don’t assume a problem is behavioral without first having your cat checked by the veterinarian. Many behavior issues are actually the result of an underlying medical problem. Cats, regardless of whether they ever step one paw outside or not, should be seen for annual veterinary exams. Older cats should be seen at least twice a year. Be aware of your cat’s body language and respect his distance-increasing requests. There are signals your cat gives off when he doesn’t want to be bothered and if you respect those, you’ll increase the bond of trust. Cats are masters of communication and they use their bodies to let others know whether they are in play mode, affection mode and leave me alone mode. A few extra pounds on a cat is the equivalent of about 40 pounds on a human. You may have believed that cats know how to self-regulate their food intake but considering the epidemic of cat obesity, that’s not an accurate statement. Your veterinarian can help you determine the proper amount your cat should be eating each day based on age, health, body type and activity level. Instructions on pet food labels are general guidelines so you have to take your cat’s particular condition into consideration. 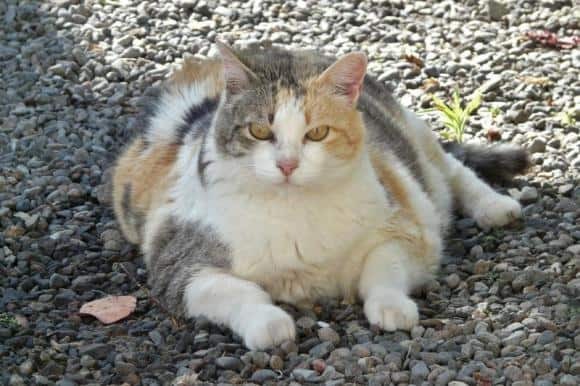 Obesity in cats can lead to arthritis, heart trouble and diabetes among other medical problems. Play with your cat every day. Cats are hunters so they were born to move. Whether your cat is an athletic youngster or a more sedentary senior, it will benefit from daily interactive play. Customize the play session to meet your cat’s physical limitations and abilities. Interactive playtime is good for both of you. It can help strengthen the bond, ease fear, help kitty develop a positive association with you and his environment and is just plain FUN! Don’t forget to read more about Cat, Cats, Cats this month in the June 2018 V.E.T. News.